The mat is the foundation of classical pilates. It is where everyone starts and must continue their pilates journey. It is in mat where you gain all your fundamental pilates knowledge and access total control of your body. Equipment used includes mats, power circles, weights and some props (e.g. bands, balls). All equipment is provided. You may bring your own mat. A dedicated mat class for seniors (aged over 60 years) is available. Please refer to the timetable. Mat classes are a maximum of 14 people to ensure all the benefits of guidance are maintained. Classes are around 45 mins. Before commencing mat, clients are encouraged to participate in an introductory mat course. This is to understand the terminology and to familiarise yourself with classical pilates before commencing classes. Introductory mat is held over eight 45 minute weekly sessions. If this doesn't suit, you can undertake several one-on-one classes before commencing beginners mat classes. 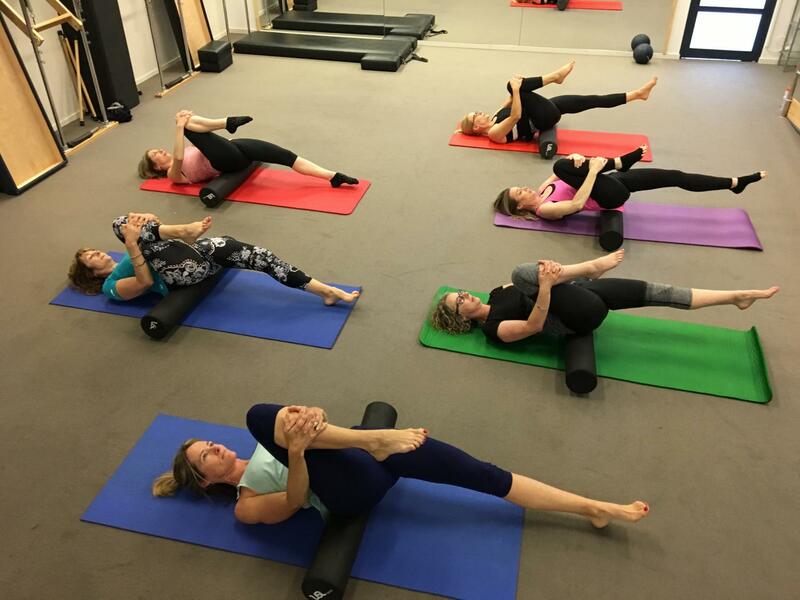 Beginner Mat classes introduce clients to the terminology, and to familiarise yourself with classical pilates. If you are unable to attend the eight week course, please contact us to discuss one-on-one sessions. 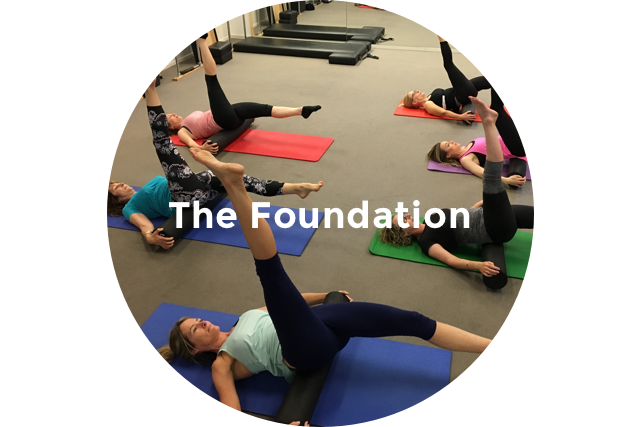 Beginner Mat classes introduce you to the principles, phrases and foundation exercises used in pilates. Beginner mat raises awareness of posture, breathing and controlling body movement, and introduces some challenging exercises. For those who have mastered the beginner exercises with control and proficiency, Intermediate/Advanced contains more challenging exercises and includes more props.